Restaurant Belfast - Drinks menu Carberry Catering Belfast. COFFEE: Cafe Carberry espresso beans are sourced from an independent coffee roaster and are 100% Arabica. They are a blend of carefully selected beans from Sumatra, Honduras, Ethopia and Peru – the perfectly balanced four elements help create this medium bodied, citrus, soft roast with a sweet nutty aroma. Our cafe’s filter coffee is a perfect blend from Bolivia, Honduras and Peru. These origins combine to create a great tasting coffee (we believe the best in Belfast). We have an intense dedication to ethically sourced quality. Our coffee is triple certified – Fairtrade, Organic and Rainforest Alliance. T.S Eliot “I have measured out my life with coffee spoons”. TEA: Teas from the independent, boutique tea house, Suki for all our tea lovers. Suki Tea bring us the best tea that they can find from single source origins around the world and combine them to them to create the multi award-winning blends that they are fast becoming very famous for. Annie and Oscar are the names behind this great brand and we are delighted to bring their teas to you. 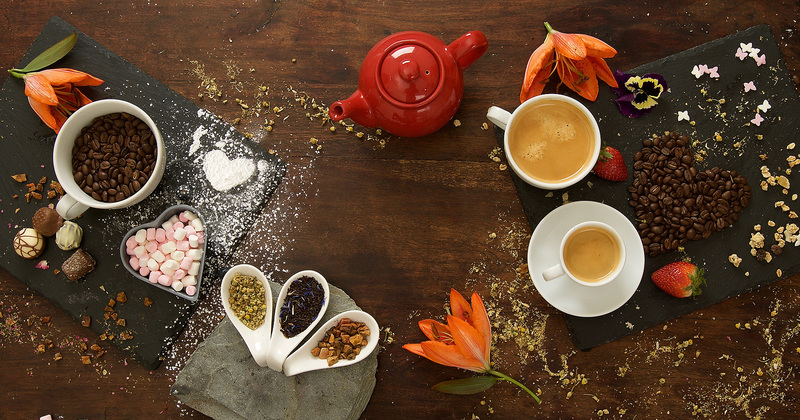 There is something for everyone from the traditional tea drinkers to the more health conscious and adventurous.